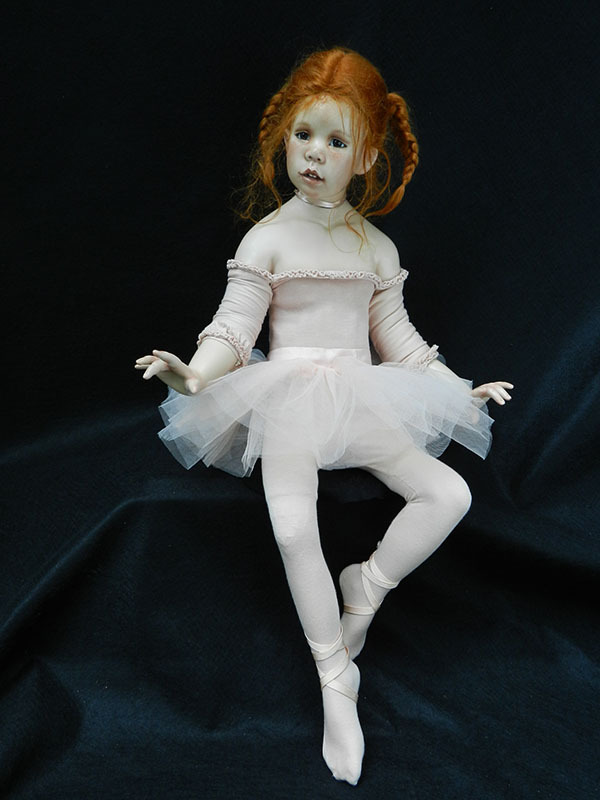 “Little Dancer is a 19” doll with wax/porcelain limbs and head. She has a cloth body and wire armature to make her poseable. 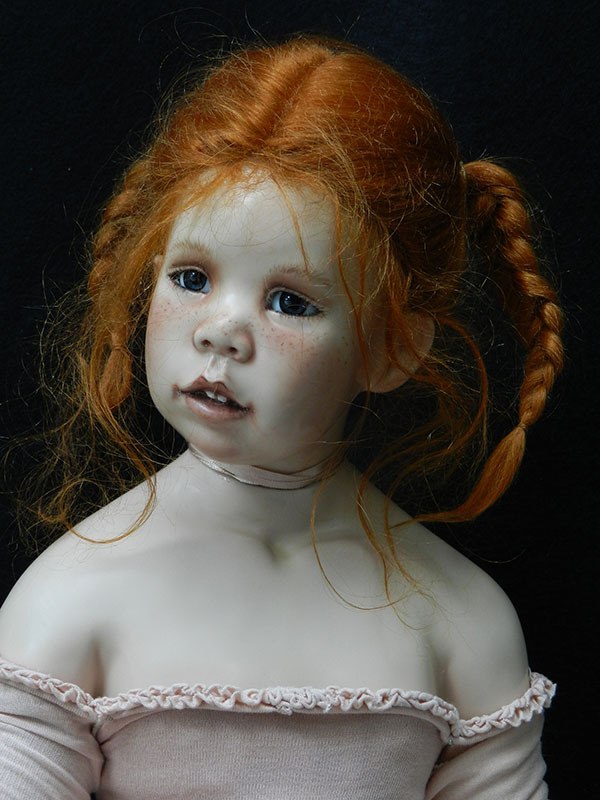 The doll is a one of a kind (OOAK). She wears a peach ballet dress & matching tights.